As you begin your medicine plan, some tips may help. Ask questions. Asthma medicine is complicated, and it’s easy to get lost in the details. Can’t remember the difference between a bronchodilator and an anti-inflammatory? Ask your doctor. Are you worried your medicine isn’t safe or working right? Again, just ask. What about cost? Will your health insurance cover this medicine? Ask. Your doctor has most of the answers. What’s the name of this medication? What does it do? Is it a quick reliever or a long-term controller? Are there special instructions for taking this medicine? Can I take other medications at the same time? Are there side effects I should expect or report? When do I (or can I) stop taking this medicine? Simplify. When you’re first starting a medicine plan, ask your health care provider to help you keep it simple. It can be confusing to take pills in the morning, inhale medicine in the afternoon, and take different pills at night. Whenever possible, create an easy medication schedule. Try. The only person who can take your medication, learn inhaler technique, and measure your daily breathing patterns is you. Ask family members and friends for their encouragement. When you take your medication, avoid asthma triggers, and monitor your health, you’ll breathe and feel better. Stay flexible. Asthma changes from day to day, and your medical needs change with it. 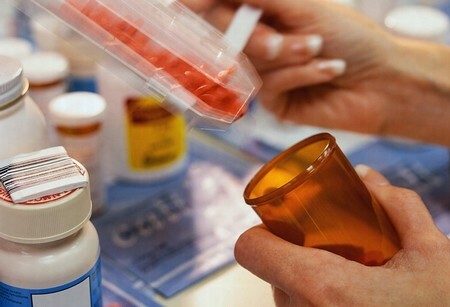 Over time, you may need to switch medications or change your dosage. The key to these transitions is being flexible. Stay on top of your asthma. If you seem to be improving, or getting worse, give your doctor a call.